Latest Blu-ray sales data shows that the HD format is moving more into the mainstream, with player sales up 72 per cent year on year. Although the figures are for the American market, they do make for interesting reading and reflect worldwide that the format is really starting to take off. The data compiled by market researchers The NPD Group shows that 400,000 units were sold in the US in Q1 2009, equating to $107.2 million (£70 million) sales. 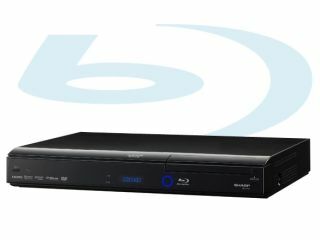 Despite strong sales, research into Blu-ray familiarity shows that awareness of the format is still low in the US. Out of nearly 7,000 people asked in a survey by NPD more than half of adults (58 percent) report that they were still "not very familiar" with the format. This is all set to change, however, with NPD's entertainment industry analyst, Russ Crupnick, stating: "Blu-ray's superiority used to be difficult for many consumers to grasp, but when friends rave about it, or demonstrate Blu-ray in their homes, they are selling the benefits in a way that is far more effective than simply viewing an advertisement or seeing it demonstrated at a retail store." It wasn't revealed just what the 58 per cent thought a Blu-ray was, but we're expecting the answers 'a type of fish' and 'Star Trek stun gun' to be pretty high on the list.